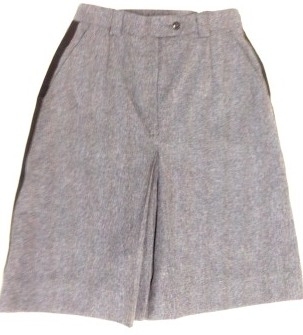 ladies letter carrier culottes are 100% polyester and are prehemmed from the factory at 23" outseam. Sizes 4-26 even only. We will custom hem your culottes to your desired length. Choose a length from the dropdown.